I love making ribs, especially baby back ribs. They’re so tender and juicy. 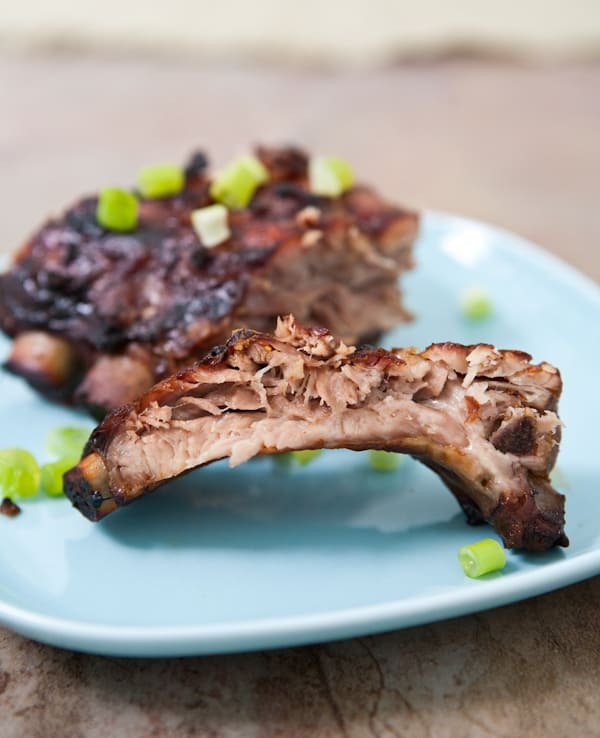 I made these ribs with Asian seasonings, creating a slightly sweet and spicy rack of ribs that were fall off the bone tender. I used molasses for sweetness, soy sauce, hoisin sauce (the Asian BBQ sauce), lots of garlic and ginger, rice vinegar, and chili garlic sauce for spice. You can add additional chili garlic sauce, and even sriracha too for even more spice. To keep the ribs nice and moist, I used Reynold’s baking bags. You know those bags you roast chickens and turkeys in? Well, they’re not just for poultry, you can create all kinds of tasty recipes in them. You can see in the photo, the bag doesn’t prevent browning either. I got a nice browning all over the ribs, yet the meat stayed as tender and juicy as can be. And the best part about using Reynold’s baking bags is that cleanup is a snap. Just toss the baking bag in the trash, and rinse your baking pan, and you’re done! Heat oven to 325°. Add 1 tablespoon flour to baking bag. Shake well. Place bag in a baking dish at least 2 inches deep. Place ribs in bag. Add molasses, soy sauce, garlic, ginger, vinegar and chili garlic sauce to a small bowl and mix well. Pour this mixture over ribs and coat well by turning them in the sauce. Close bag with the tie found in the Reynold's baking bag package. Cut 6 1/2 inch slits in top of bag to allow steam to escape. Tuck ends of bag in pan. Place pan in oven, allowing room for bag to expand during cooking without touching heating elements, wall or racks. Bag should not hand over pan. Bake for 1 1/2 - 2 hours, or until ribs are fall off the bone tender and browned. Remove from oven and carefully cut bag. This post sponsored by Reynolds, all opinions 100% mine. Oh my GOSH I want no NEED these in my life! Glad you love making them cuz I love EATING them! 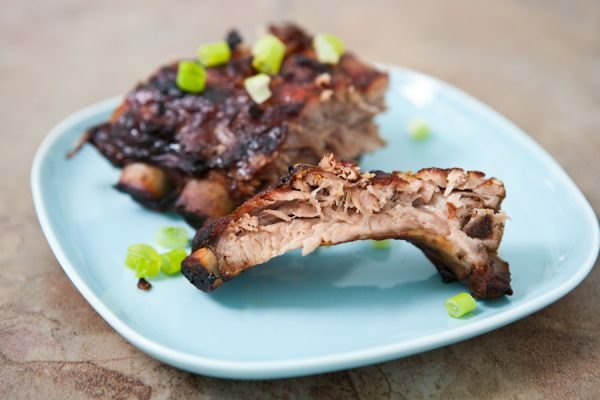 My husband loves ribs and I love these flavors. I can’t wait to try these! Love all of the flavors in this recipe — yum! This looks amazing, Angie. I need to make these soon! I bet these were melt in your mouth tender, how smart to use the oven bags! Easy cleanup, you got to love that! What’s up, just wanted to tell you, I loved this post!!!!!! It just so very helpful. Keep on posting!